Featuring FN Dry™ 10K technology and lightweight Thinsulate™ fill, the Cedar Ridge BioZone™ Insulated Jacket keeps you dry and warm when the weather bares its teeth. Underarm vents with mesh insets offer exceptional airflow, while critically taped seams add another layer of protection against the elements. Featuring FN Dry™ 10K technology and lightweight Thinsulate™ fill, the Cedar Ridge BioZone™ Insulated Jacket keeps you dry and warm when the weather bares its teeth. Underarm vents with mesh insets offer exceptional airflow, while critically taped seams add another layer of protection against the elements. An RFID pocket at the sleeve keeps passes easily accessible, while a helmet-compatible hood, customizable cuffs and a cinch hem all adjust to provide a secure fit while you ride. 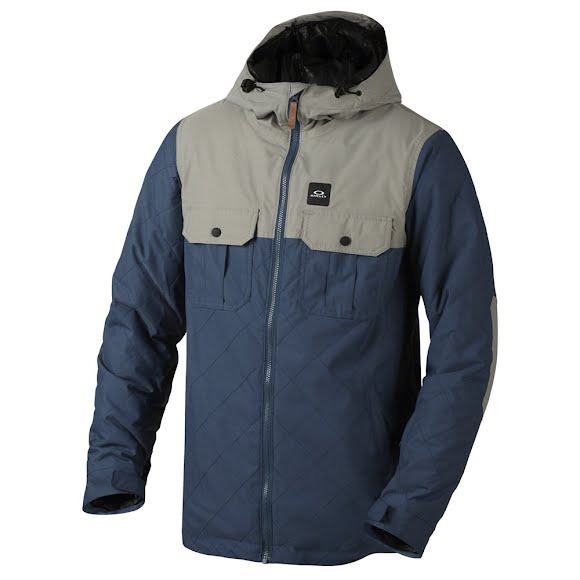 This Oakley snowboarding jacket features multiple pockets that secure essential items, while a quilted design and logo detailing deliver a classic look with iconic action-sport style. Thinsulate insulation works by trapping air molecules between you and the outside. The more air a material traps in a given space, the greater its insulating value. Because the microfibers in Thinsulate insulation are far finer than other fibers, they trap more air in less space, which naturally makes it a better insulator. Thinsulate is breathable, moisture resistant and compressible.